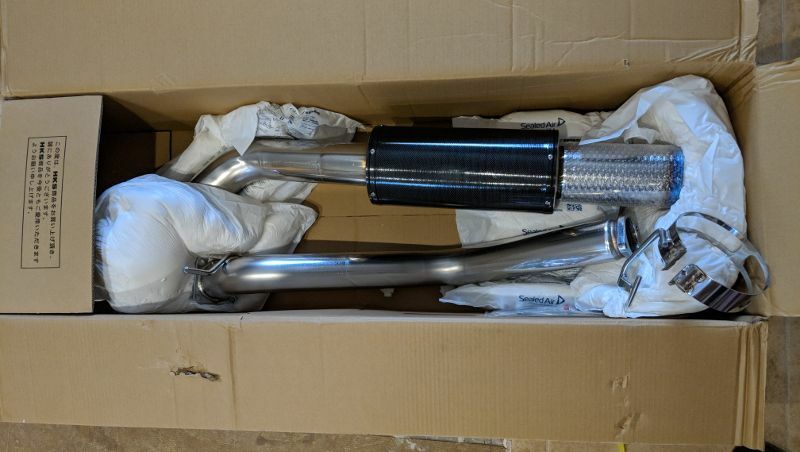 The newest Supra exhaust from HKS. 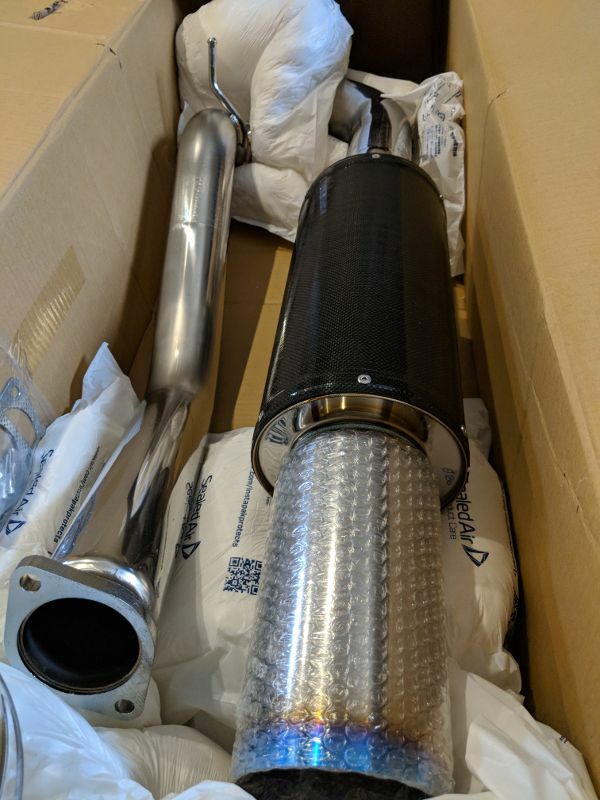 The HKS Carbon Fiber Titanium Hiper Series. 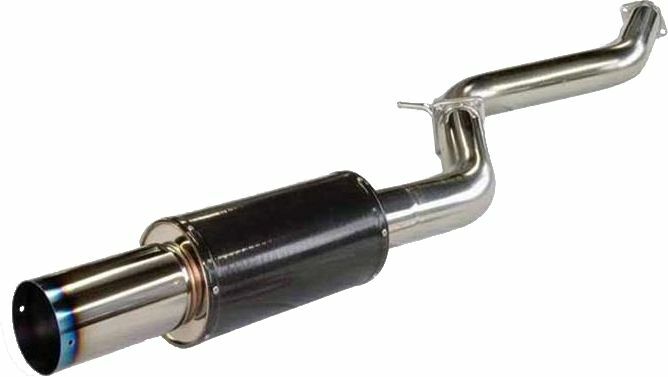 95mm main piping with a 120mm Titanium tip, coupled to a carbon fiber wrapped cannister makes this an ultra-trick exhaust. We rate this on our sound scale as a 6.5. Click on those pictures for a mega pixel shot.